Martell collaborates with Chef Nathalie Arbefeuille of Nathalie’s Gourmet Studio to present a first-of-its-kind, multi-sensory fine dining experience that sits squarely at the intersection of art, gastronomy, and cutting-edge technology. The five-course epicurean journey, which is crafted to magnify the flavors of the finest Martell cognacs. Served in a cinematic wonderland made possible with immersive, state-of-the-art 360° projection, the ever-shifting experience blurs the lines between taste, scent and sight. Prepping the palate for the multi-sensorial journey, guests enjoyed three finger foods to start, red detox juice, pomegranate jelly, smoked salmon and ginger, Hokkaido scallops and caviar ring, and broccoli gorgonzola spiral. The Martell Cordon Bleu paired perfectly with the second starter In The Woods, a dish of crispy foie gras, artichokes, porcinis in two ways, shaved truffles, and a duck and truffle consomme. Under Water, the third starter of caramelised Hokkaido scallops, poached oyster and pearl cream, dieppoise sauce and mushroom mousseline, was complemented with the Martell Cordon Bleu Extra. The main course, Circus that is a veal dish cooked to perfection with, paella flavours risotto, saffron and capsicum jelly and ground sea influence, perfectly matched the spicy and peppery flavours of Martell XO. Finally, the perfect balance of aromas and sensations of Martell Chanteloup Perspective made ‘Make A Wish Perfect Apple’ dessert go down a treat. 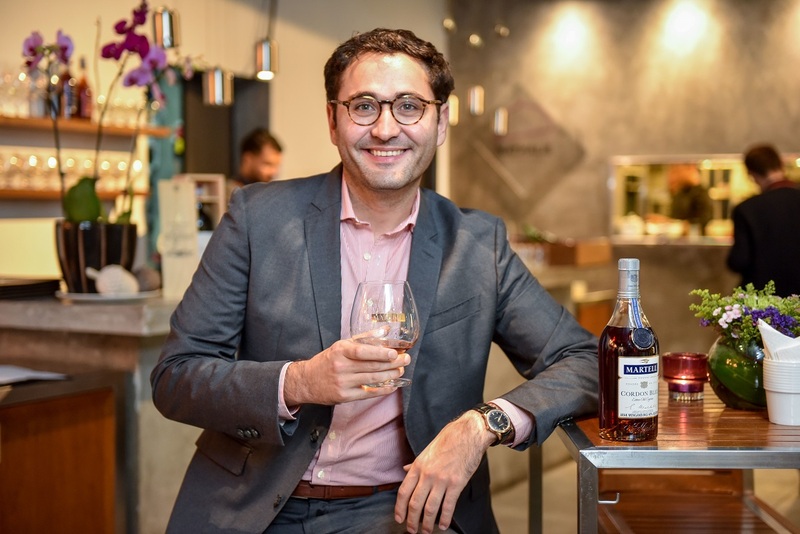 Martell will give four tickets worth RM 4,600 to lucky attendees of the upcoming Be Curious Mentoring Session, a guided appreciation of the cognacs with Brand Ambassador Pierre Boyer, the session is a tasting of a wide range of Martell’s signature cognacs from the classic Martell VSOP to the smooth and well-balanced Martell Cordon Bleu and Cordon Bleu Extra, and the distinctive Martell XO. Tickets for this exclusive to the mentoring session are at RM90 per person and available to only 20 pax.